The software developed by the CoffeeCup Software company is recommended for the more advanced user. Their software is inexpensive and trial versions are available to test before use. 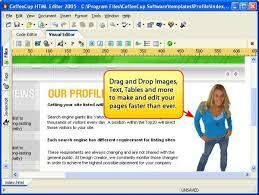 CoffeeCup Software began in an actual coffee shop in 1994 and its first product was a simple yet powerful HTML Editor. An interesting feature of the HTML Editor is support for Markdown which offers a simplified alternative to HTML. There are many aspects to responsive design and CoffeeCup are dedicated to bring you the tools you’ll need to master them all. For example, their latest product is a Responsive Content Slider as illustrated below. Other products include flagship Responsive Site Designer, CSS Grid Builder, Responsive Email Designer, Foundation Framer, Bootstrap Builder, Web Form Builder and Menu Builder. CoffeeCup are moving full speed ahead into the next projects and developing solutions that solve responsive design challenges is a serious and time consuming job. 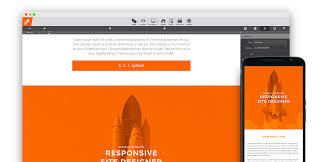 A Responsive WordPress Designer is coming soon but visit their site for details of all their numerous products. Responsive design is different and more tedious than a lot of people think. Responsive design is NOT making a few tweaks at two arbitrary screen widths. Responsive wireframing is NOT making wireframes for one desktop, one tablet, and one mobile screen size. Responsive design and wireframing is making your design look good, and assuring your layout and content are usable on big desktop monitors, television screens, small smart phones.